Our press kit information provides basic information for media interested in learning more about the Stomach Cancer Relief Network Inc. Please contact Marcus Mitchell direct on 702.292.8547 for any inquires. Here you will find our Stomach Cancer Relief Network press release archives. 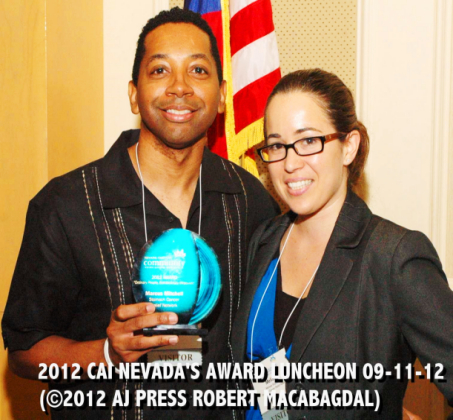 Founder Marcus Mitchell accepts the Community Associations Institute (CAI) 2012 Ordinary People-Extraordinary Measures Award on behalf of the Stomach Cancer Relief Network with Vice President Melissa Skipworth. 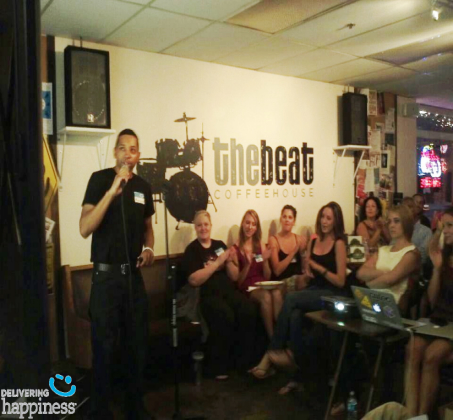 Founder Marcus Mitchell was a speaker at the Inspire Las Vegas Event on August 21, 2012 inspiring others how to move on after the loss of a loved one. Marcus telling his own unique story of pay it forward and how he started the Stomach Cancer Relief Network. Founder Marcus Mitchell was a guest on ABC Vegas Morning Blend Show and received a $500 check from America First Credit Union. Marcus was the latest Give Back Award Winner on May 22, 2012 and was recognized for his pay it forward work as well as what he does with the Stomach Cancer Relief Network. Click here to watch video. 2/13/11 Las Vegas Review Journal Article on the 10 Must-Follow Vegas Twitter feeds by Corey Levitan.